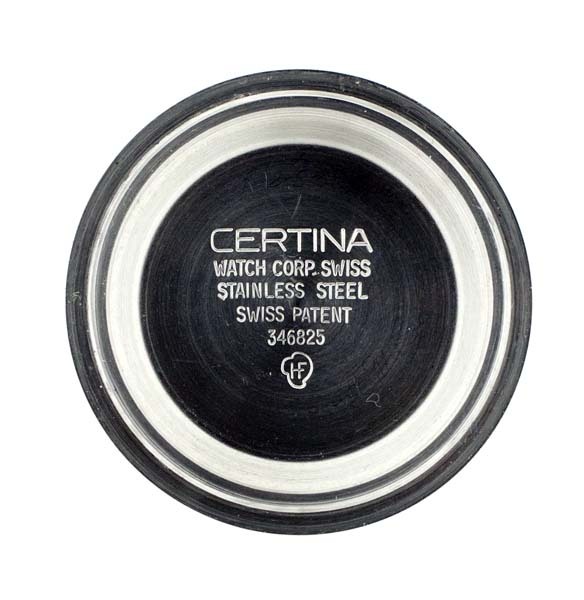 Vintage Certina DS3 ladies sports watch. 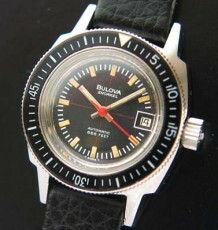 Funky 1970s style case. 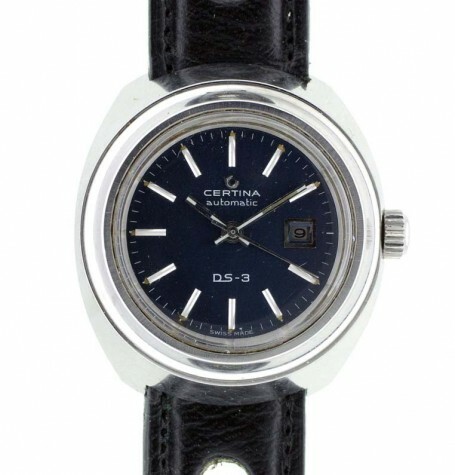 A Certina DS3 vintage ladies watch, with chunky stainless steel case. This great vintage Certina DS3 dates to the 1970’s and sports a wonderful deep blue dial. 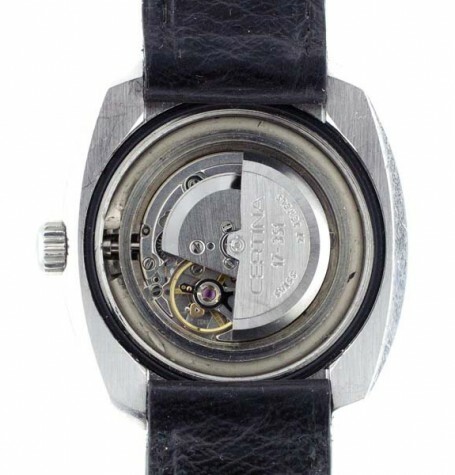 The dial has long steel hour markers and small tritium dots at the outside of each. Under inspection with a magnifying loupe, you can see that the blue paint around the tritium has flaked slightly. 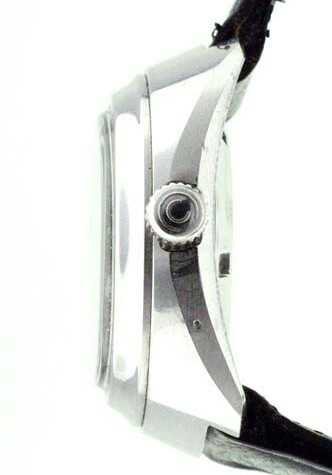 This is pretty common and why most manufacturers went to surrounding the luminous with white gold or steel rings later on. This is a minor issue and not noticeable with the naked eye. 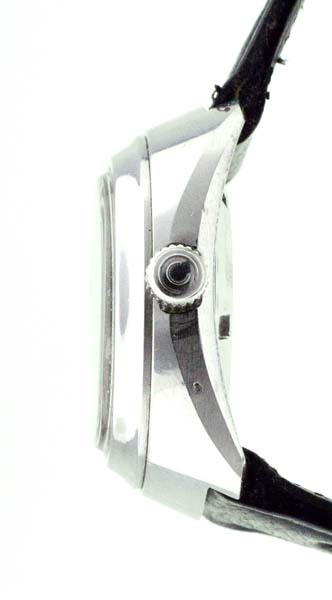 The watch is fitted with an automatic Certina calibre 17-351 with 27 jewels. 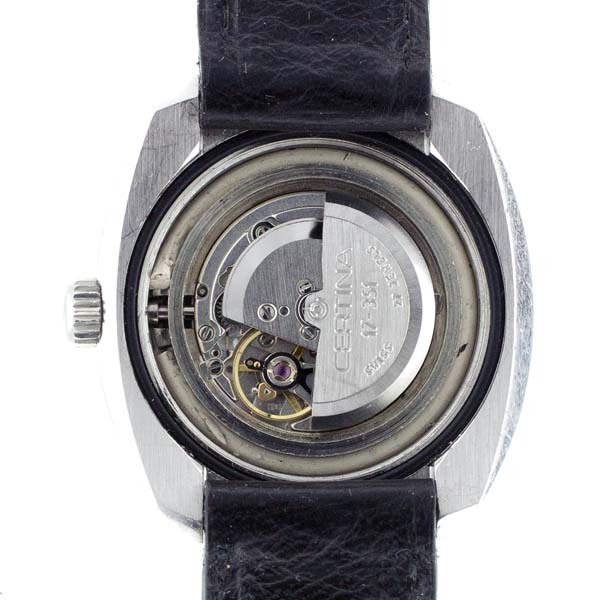 The movement features a date display at the 3 o’clock position. 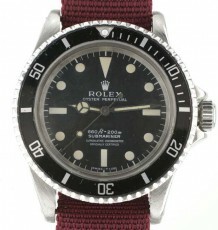 The watch was just serviced by my watchmaker and is running flawlessly. 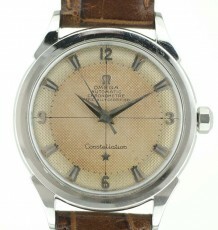 The original Certina signed crown is still fitted to the watch. 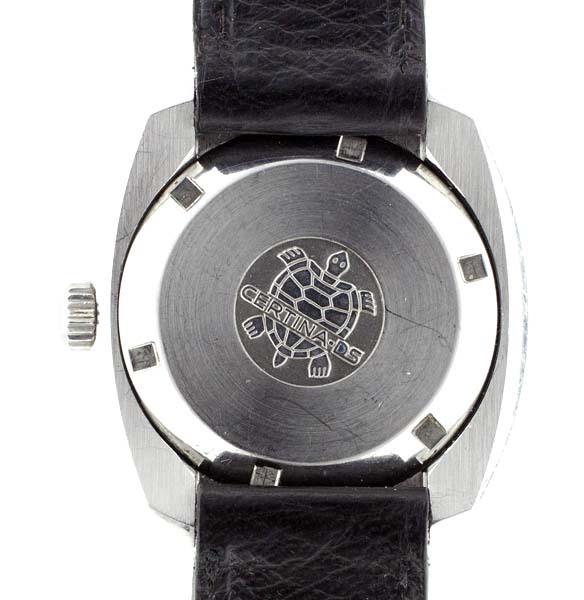 The heavy steel screw down caseback is embossed with the iconic Certina DS3 Turtle emblem. Her is a link to the big brother model of this Certina DS watch. The watch measures 33 mm wide by 34 mm long and is supplied on a black padded rally sports strap. The case is almost 12 mm thick including the crystal. 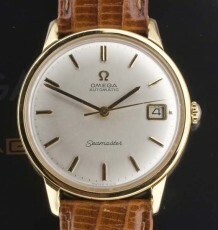 This is a great sports watch for a woman looking for something with a bit more character than some of the current offerings in a mall.